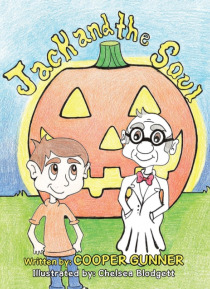 A young boy named Jack discovers his Grandpa Frank as a soul, just by turning on his Jack O' Lantern. Together, they set up their pumpkin patch for the first time in over 50 years in hopes that it can be a tradition for Jack and his family. It is a heartwarming story that shows the love between a grandfather and his grandson. Written by first time author Cooper Gunner and illustrator Chelsea Blodg… ett.